Hotel InterContinental Paris le Grand, Paris, France - Lowest Rate Guaranteed! 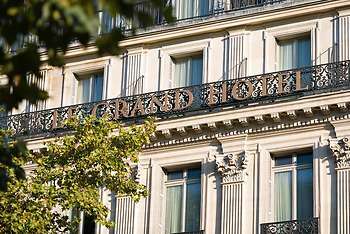 A stay at InterContinental Paris le Grand places you in the heart of Paris, steps from Paris Olympia and Grands Boulevards. This 5-star hotel is 0.2 mi (0.3 km) from Opéra Garnier and 0.3 mi (0.5 km) from Galeries Lafayette. Beautiful building,typical luxury hotel with fantastic breakfast buffe. Nice rooms and bathrooms. The kids got bitten by bed bugs... Always long queue for the reception, bar and restaurant and mini bar ridiculously expensive. Spa and gym dissaponting for such a large and expensive hotel.